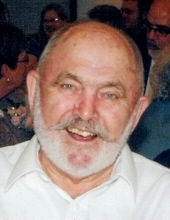 Robert E Shuler of Black River Falls passed away in his sleep on Thursday, March 21, 2019 at Country Terrace Assisted Living. He has left this world after 93 years of joys challenges, and sorrows. Robert (Bob) was born December 26, 1925 in Janesville Wisconsin to Joseph and Blanche (Winter) Shuler. He was the youngest and last surviving member of that union. Bob had a driving love of all things nature. His early years were spent hunting and fishing with his father and uncles. As soon as he graduated from Janesville HS, he enlisted in the US Navy to help in the war effort. After training, he spent most of his time in the Philippines on PT boats and on diving teams helping to recover the Philippine treasury from Manila Bay. Soon after leaving the Navy, he returned to his passion of nature by training as a Jr. Game Warden in northern Wisconsin. After a long career, Bob retired from General Motors - Fisher Body as a Journeyman Millwright. After retirement, he was able to build his dream retirement home on family property outside of Hayward. Besides having ‘his own” lake, he created his own wildlife preserve there, watching generations of animals (including eagles) raise their young. Bob is survived 4 sons; Stephen, Kenneth, Richard, and Joseph, grandchildren Rebecca, Jason, Isaac, and Janenne (Mercer), as well as great grandchildren Matthew, Summer, Samantha, Abigail; Danielle and Claire Mercer. He also leaves many Shuler allied family cousins. He was preceded in death by his 3rd wife LaVon (Stenulson); parents Joseph and Blanche; brothers Joseph and William; sisters Elizabeth and Frances; grandchildren Robert and Michelle. Bob’s struggles are now over. Bob has requested that his body be cremated. There will be no funeral. Inurnment and committal with his wife LaVon’s remains will be scheduled for a later date in Janesville. To send flowers or a remembrance gift to the family of Robert Errol Shuler, please visit our Tribute Store. "Email Address" would like to share the life celebration of Robert Errol Shuler. Click on the "link" to go to share a favorite memory or leave a condolence message for the family.